Abacus is a business management system which helps to manage your business properly. Abacus is mainly developed for small and medium business owners. 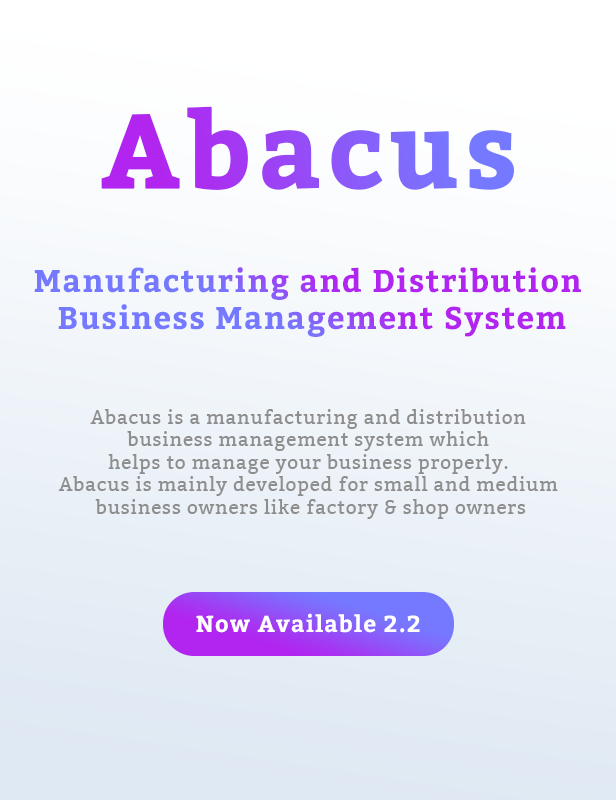 We developed Abacus in a way so that entrepreneurs, startups, and small/medium business owners can run their business smoothly without spending a huge amount of money. Abacus will help to manage your income/expense, purchase/sale/delivery, bank transactions, invoices with payments and many more. 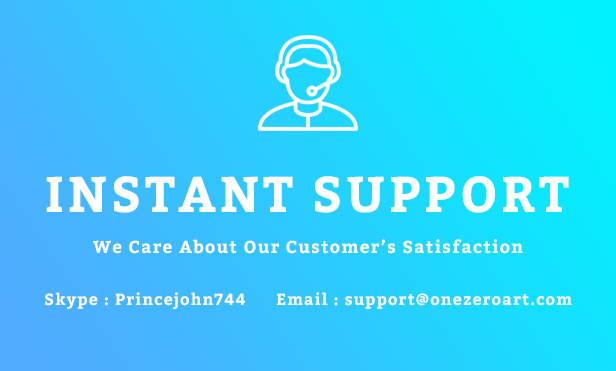 See all the features in below. We developed Abacus strongly and keep its UI/UX as simple as possible so that everyone can understand it’s options. 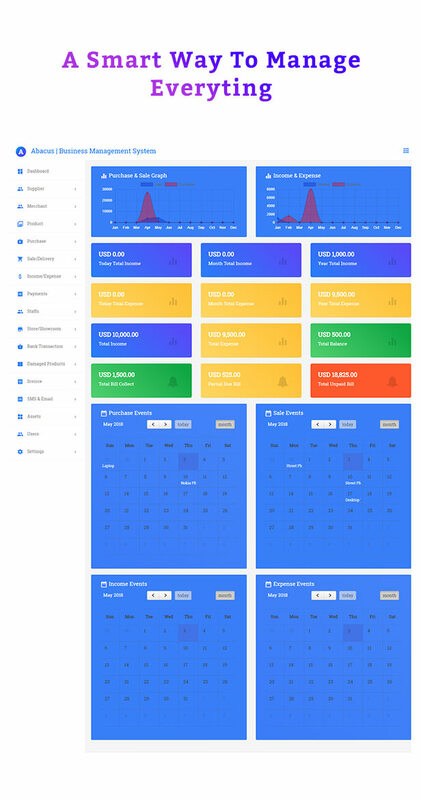 Abacus is responsive and loaded with many important features and more coming soon. We will update Abacus regularly and bring new features one by one.